Novartis has launched the first large-scale research study in multiple sclerosis using Apple’s ResearchKit software. Participants will be able to contribute directly from their smartphones, via sensors that will collect movement and symptom data, removing the need for clinic visits. The US mobile-enabled study uses a free-to-download iPhone app that was built on Apple’s ResearchKit platform, software that’s already in use at companies such as GlaxoSmithKline and Celgene. Novartis’ Evaluation of Evidence from Smart Phone Sensors and Patient-Reported Outcomes in Participants with Multiple Sclerosis, or elevateMS, study aims to improve understanding of patients’ daily challenges. The Swiss pharma firm and its tech partner Sage Biosystems also hope real-time data collection will enable them to uncover new potential measurements of treatment effectiveness. Stanley Cohan, medical director at Providence Multiple Sclerosis Center in Portland, Oregon, is a scientific advisor to the study. He said: “As physicians, we always want to know how our patients with MS are doing on the treatments we prescribe. 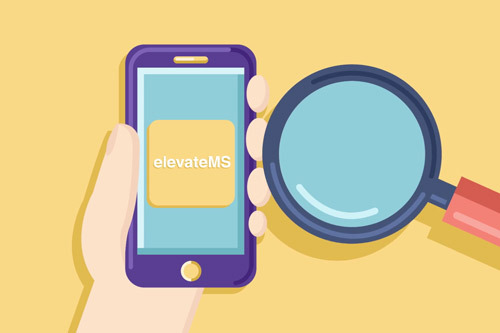 The elevateMS mobile app can be downloaded from the Apple App Store and offers users a range of activities, including brainteasers and questionnaires about their health, while taking measures from the iPhone’s built-in sensors. The study is only open to adults in the US that own an iPhone (4s or newer model), but participants with and without MS can sign up to help researchers better understand what it’s like to live with the condition.